With over 30 years in the construction industry, our team at Buildmain Ltd have all the experience and expertise necessary to provide a complete service to all our clients from the commercial and industrial sector. From commercial new builds to factory refurbishments, we can look after every aspect of your project and will keep you updated each step of the way. Based in Atherton, we cover all areas of the North West including Manchester and Liverpool. Contact us to speak with a member of our dedicated team today. From minor office refurbishments to major commercial new builds and demolitions, at Buildmain Ltd we do it all. 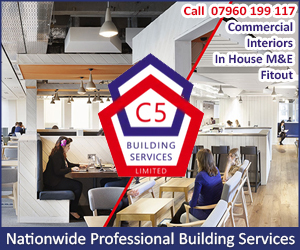 With over 30 years’ experience, our team of commercial building experts aim to provide the highest standards of workmanship every time. We look after every aspect of the building project and can get involved at any stage. From small retail refurbishments to large multi-storey office refurbishments, the team at Buildmain Ltd have the experience and expertise to manage all types of property refurbishment. By providing an all-trade service, we’re ideally placed to oversee each stage of your refurbishment project, saving you time and the additional cost of coordinating multiple parties. No matter what the scale of your building refurbishment project, we have the experience and expertise to take care of everything for you. When it comes to maintaining a property, it’s important to ensure everything is covered. Our building maintenance contractors offer a range of professional and cost effective ground and building maintenance services. From roof repairs and slipped tiles as a result of storm damage to brickwork repairs and repointing, our range of maintenance services are truly comprehensive giving you complete peace of mind. Protecting your business is crucial and need not be complicated or costly. At Buildmain Ltd, as well as construction and building maintenance, we provide complete security solutions designed around your needs and budget. 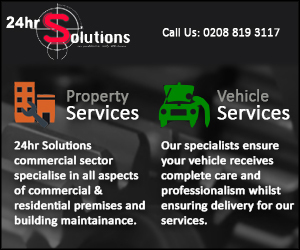 From CCTV installations to total building security upgrades, you can have total confidence that all your security requirements will be met within the services we provide.